The new Embark collection from Barska is designed with a wide range of outdoor activities in mind such as bird watching, hunting, hiking and more. 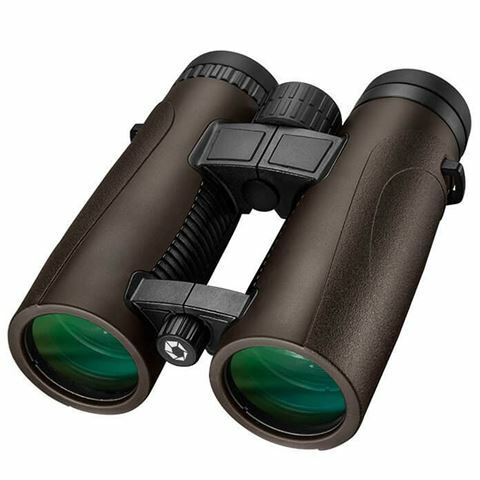 Boasting a handy waterproof construction with shock-absorbing armour, these compact binoculars are equipped with crisp lenses and provide up to 10x magnification. Complete with a storage pouch and just the right size to fit in your backpack, Barska really has all of their bases covered! O-ring sealed for complete waterproof protection. Nitrogen purged to prevent internal fogging. BAK-4 glass roof prism provides a crisp image in any weather. Multi-coated optics for sharp, crisp images. Equipped with 42mm objective lenses. 98-meter field of view at 1000 meters. Includes lens covers, a lens cloth and neck strap. Dimensions: 15.3cm (l) x 5.5cm (h) x 13.2cm (w).